McGuigan’s lane has recently been transformed by a large group of artists and students who have painted a walkway of wonderful murals. To celebrate the success of this project, and to utilise this beautified CBD space, the team is throwing a party. 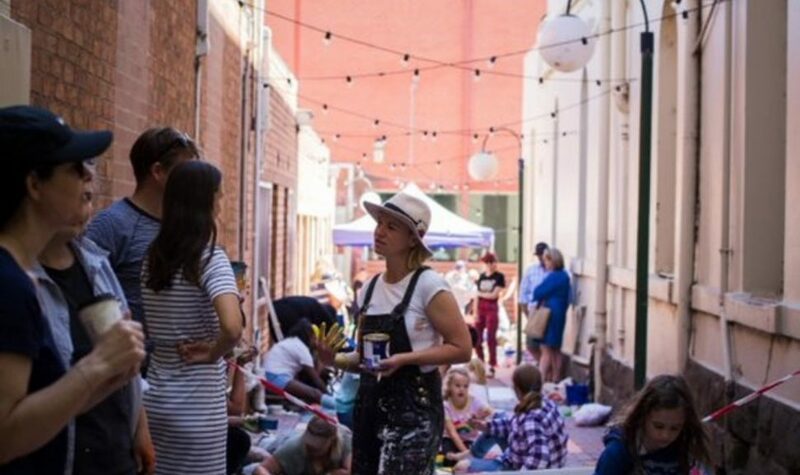 Hosted by South West Hive, local artists and a collection of community groups and businesses, this free family-friendly event is a collaborative celebration of the vibrant community, and an opportunity to connect with fellow residents and visitors. Enjoy free live music, face painting, great conversation and good vibes. Bring some coins for the hot food and drinks available. Please leave alcohol at home, but bring your own mug, cup or water bottle to help reduce waste. Feel free to contact the team if you would like to get involved.